Welcome to the Epic Charity Challenge Online Auction! Click HERE to view all the items up for bid. 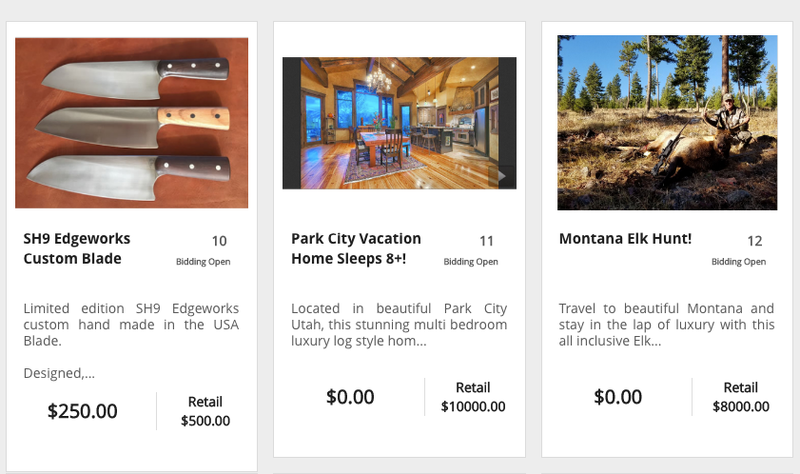 Featured Items: Montana Elk Hunt, Park City Luxury Vacation Home, Custom Knives from SH9 and Half Faced Blades, and MORE! Bidding is live.